THE Glasgow Boys exhibition on view in Glasgow’s Kelvingrove Museum — which features works painted around the Helensburgh area and by local artists — has been well attended and highly acclaimed. But the gender balance was redressed! An exhibition of paintings, decorative and applied art by the Glasgow Girls (1890–1930) opened in Kirkcudbright Town Hall on Saturday July 3 and ran until the end of August. This was the first major Glasgow Girls exhibition since one in the Kelvingrove Museum in 1990. Liz Arthur, formerly a Glasgow Museums curator, was involved with the 1990 exhibition and was curator for the exhibition in Kirkcudbright. Funding for the ambitious event came from the Kirkcudbright 2000 Group, supported by Dumfries and Galloway Council. Visitors to the exhibition saw displayed together for the first time works from public and private collections, many of which had not been on view to the public before. 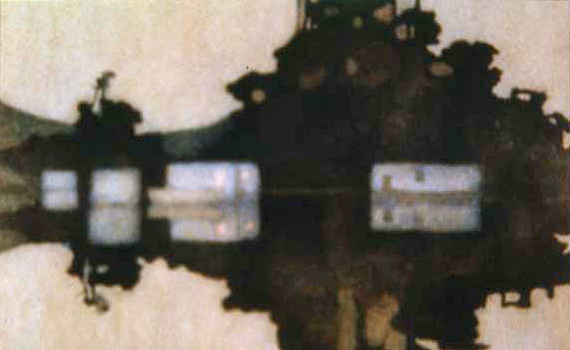 As the Glasgow Boys and Girls had strong links with Helensburgh it is not surprising that the exhibition included a number of paintings from this area. Notable among these was the work of Norah Neilson Gray, who was born in Helensburgh in 1882, studied at Glasgow School of Art, and whose lyrical watercolours, such as “July Night, Loch Lomond” (above), evoke familiar local scenes. “July Night, Loch Lomond” was lent to the Kirkcudbright exhibition from the Anderson Trust Collection, currently on view in Helensburgh Library. Also on loan to Kirkcudbright were a number of Norah Neilson Gray’s paintings in private collections, and one of her most accomplished watercolours, entitled “Hôpital Auxilaire d’Armée 30, Abbaye de Royaumont” (left), which is permanently on display in Helensburgh Library. As the title suggests this is not a local subject. 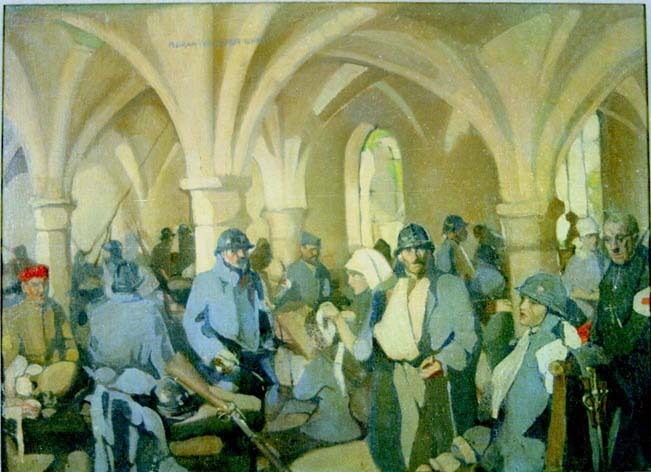 The painting, depicts the interior of the Abbaye, near Paris, adapted for use as an army hospital and staffed entirely by women from the Scottish Women’s Hospitals. It was inspired by the artist’s experience as a volunteer nurse in the hospital at Royaumont during the First World War. In addition to its merits as a work of art, it has considerable historic significance and in 2005 was on loan to the Quincentenary Exhibition of the Royal College of Surgeons in Edinburgh. Other artists represented in the Glasgow Girls exhibition included Annie French, Jessie M.King, and Eleanor Moore, the mother of a well-loved local artist, Ailsa Tanner. The town of Kirkcudbright and the surrounding area have always been much loved by artists, in particular at the turn of the last century when many of the leading Glasgow Boys and Girls were attracted to live and work there. It was therefore a very fitting venue for the exhibition of The Glasgow Girls, which attracted visitors from many parts of Scotland and further afield. The exhibition closed at the end of August, but a selection of the exhibits are now on display at Glasgow School of Art.